Ecstatic dance is a free form, unstructured type of movement that can be transcendental and spiritual in nature for some, while for others a dynamic way to practice movement mediation. In this practice, you are free to weave your own ways through the various soundscapes. It is a safe space where we can explore ourselves: bodies, emotions, minds, and hearts. 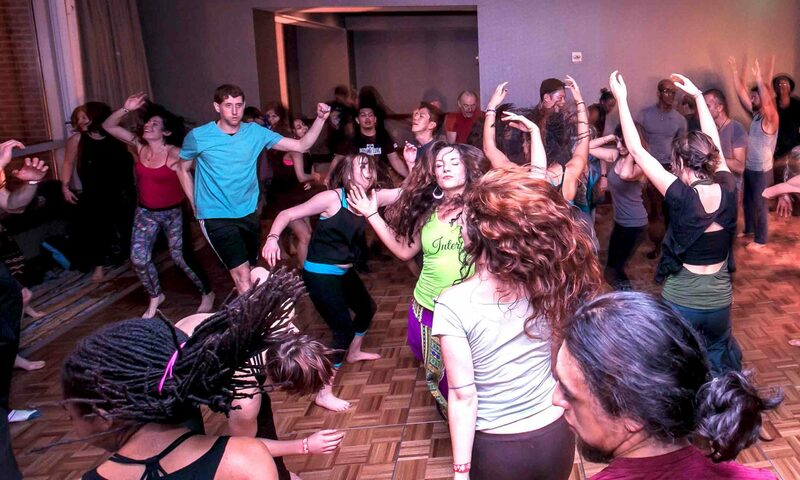 Ecstatic Dance provides a non-competitive, judgment-free space of raising consciousness through a shared ecstatic trance of a movement meditation. In Ecstatic Dance, dancers move freely and interact in an experience called “the wave”, intended to move energy through the body, release suppressed emotions, ease physical tension and heal the psyche. There is no right or wrong way to move, no steps to learn, to rules to follow, and no patterns to memorize. It is a purely spontaneous, improvised expressive movement. The dance has strong meditative effects that help restore serenity in the bodies and minds of those who practice it. The powerful endorphin release that happens during this practice leaves the participants feeling nothing short of ecstatic.